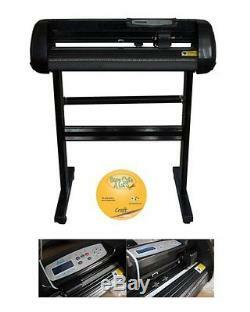 Vinyl Cutter , 8 in 1 Heat Press , printer , vinyl kit. 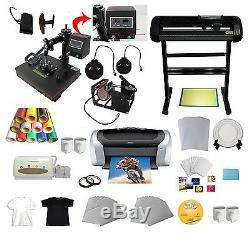 New 8 in 1 Combo Heat Press + Vinyl Cutter Plotter + Printer + Business Bundle. Is ideal for heat transfer of design, graphics and photos to T-shirts, iPhone Cases, puzzles, mouse pads, ceramic tiles Vinyl etc. Brand new 8 in 1 Combo Heat Press. 4 ALL METAL vinyl cutter plotter. Printing and lots of others stuffs. The package need the sublimation ink. 24 500g Pressure Cutting Plotter. High strength aluminium alloying structure, streamlined design, beautifully and gracefully. Unique cutting blade soft landing function, cutting thinker material more easily. Luxurious push and pull vinyl basket, convenient for practical operation. With USB high speed interface, supporting plug in and off when power is on, PNP. Imported thin film controlling panel with nine keys, easy to operate. Linear bearing carriage with high precision, high temperature resistant and never deformed characters. Compatible with many computer operation systems such as Windows XP, Vista, Windows7 (32bit&64bit). Imported hardness alloy steel blade. Relative humidity:(30%-50%)without condensation. We supply technique support after your purchasing. And we provide a detaileduser manual with words, pictures and video made by ourselves, after yourordering, we will send it out with the cutter machine. "Sure Cuts A Lot" is an easy to use software which allows you to cut virtually any shape with various electronic cutting machines, including Black Cat Cougar/Lynx, Craftwell eCraft, BossKut Gazelle, Pazzles Inspriation, Silhouette SD/CAMEO/Portrait, Silver Bullet, USCutter, & More! With "Sure Cuts A Lot" you can cut your TrueType fonts, custom shapes and even draw your own shapes directly in "Sure Cuts A Lot", giving you endless possibilities! NOTE: This software does not support Cutting Plotter on Mac OS. Works with your installed TrueType and OpenType fonts. Works with thousands of free TrueType Fonts including Dingbat/Wingding Fonts. Import various file formats, including SVG and PDF. Drawing tools to draw and edit shapes. Weld overlapping letters and shapes together. Select styles, including shadow and blackout, to change the look of your letters and shapes with just a few clicks. Auto-tracing feature to automatically convert images for cutting. Cut additional shapes from the "Sure Cuts A Lot" Library. WYSIWYG Interface - Exactly what you see is what you cut. Save and share your design layouts. Pentium processor-based PC or compatible computer (Windows). 512 MB of RAM or more. At least 50 MB of available hard disk space. USB Port 1.1 or 2. 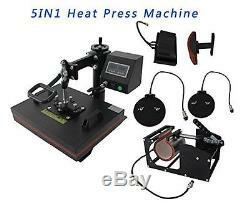 8 IN1 Heat Press Machine. 8IN1 Heat Press can imprint T-shirts, Ceramic Plates, Ceramic Tiles, Mugs, Mouse Pads, Jigsaw Puzzles, Fabrics & Materials, and Other Misc. Package Weight: 35kg Size (L, W, H): 21.65"x19.29"x19.69 (55cmx49cmx50cm) Voltage. Temperature: 0400 degrees C Time Range: 0999 Seconds Heater size: Diameter 7.59cm or 57.5 for Mug Diameter 1. Cm for Plate Diameter 30X38cm for Flat Diameter 14X8.5cm for cap Cone-shape mug heater for 12oz and 17oz latte mugs. 8IN1 Heat Press is a multipurpose swing-away heat press. The construction is a solid steel welded framework. It includes Digital Temperature, Time, and a Digital Pressure/Height gauge, programmable presets, user definable alarms as well as a host of other digital features. 8IN1 Heat Press utilizes quick-change attachments necessary for heat transferring images onto a wide variety of materials, such as: T shirts, Ceramic Plates, Ceramic Tiles, Mugs, Mouse Pads, metal plates, Jigsaw Puzzles, Fabrics & Materials, etc. The interchangeability of it is performed quickly and safely. Epson Stylus C88 Ink Jet Printer. The high-performance Epson Stylus ® C88 speeds through critical projects and reports, delivering amazing quality and durability with DURABrite® Ultra inks. With this champion performer, you'll get sharp, vivid charts, text, and more, whatever the task at hand. Enjoy amazing quality and durability. Take control of ink usage. Print borderless photos in popular sizes. Create projects that truly stand out. Enjoy easy setup on any system. Discover convenient wired and wireless print options. The CISS Ink System is used to print pictures whose details are clear, arrangement is distinct, and it is suitable for expressing beautiful colors, with a highly smooth, bright, pure, and constantly-line, non-clogging nozzle. Pure tones, rich colors and smooth transition. Images Printed with accurate Colors, clear structure, good gloss, higher color levels, it shows a broader space, and meets the higher requirements. It applies to all cases relating to computer, printing in all fields. Package included: (1) 1 set 24inch 500g Cutting Plotter. (004551) (2) 1 set 110V 8IN1 Heat press. 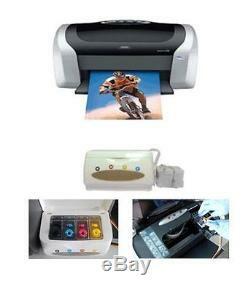 (000120) (3) 1 set Epson C88 ink jet printer. (4) 1 Set CISS for Epson C88. (5) 100 sheets A4 sublimation transfer paper. (001201) (6) 20 sheets A4 dark transfer paper. 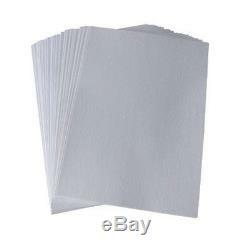 (002001) (7) 20 sheets A4 light transfer paper. (002000) (8) 4 pcs White mugs. (001007) (9) 2 pcs 8 Double Gold Rim Sublimation Plate. (001013) (10) 10 pcs 24x20x0.3cm Blank Mouse Pad. (001021) (11) 2 pcs Rectangle Jigsaw Puzzles. (002068) (12) 2 yard PU vinyl. (Black-002301, White-002302) (13) 1 sheet 13"x25" ASC365 Cutting Mat. (004027) (14) 1 Square Vinyl Scraper 7.9x12.6cm. (019032) (15) 2 PCs Dark color T-shirts. (Black-002086) (16) 2 PCs Light color T-shirts. (White-002087) (17) Sure Cuts A Lot V3 Cut Vinyl Cutter Software. 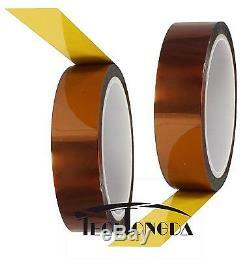 (000784) (19) 2 rolls Heat tape. 110V 8IN1 Heat Press (000120). 2pcs 8 Sublimation Plate (001013). 11oz white mugs 4 pcs(001007). 2pcs Rectangle Jigsaw Puzzles (002068). 2 pcs light color T-shirts. 2 pcs dark color T-shirts. Sure Cuts A Lot V3. 13"x25"x0.16Cutting Mat 1sheets. 1 Make target design by computers. Switch on the cutting plotter and better try the pressure of tool in the first step: After cutting, the color layer as well as one layer of base paper can be easily removed at the same time. 2 The tool should just cut half thickness of the base paper. 3There are 35 colors of PU vinyl transfer you can choose. 4Set the speed according to the size of the design. For example, set the speed faster (at 50-75) for a large design, and at 25definitely for a small one. Lowerspeed cutting is very important! 5Peel off the unwanted color layer part when finish cutting. 6The design on base paper should be complete without any deletion. If you peel the wanted parts , you can press it back then continue. 7Press by heat press, Set the temperature at 150-175(310F-350F) and the time at 10s -15s. The temperature & time is not absolute, You should adjust on actual status. Set the temperature at 150-175(310F-350F). 9Cool peel the base paper. 10A wanted design will be on your unique T-shirt completely. Orders are processed from Monday-Friday; Not on the weekends & public holidays. We will work with you to get the case resolved in the fastest method. Please contact with us at first for more details. If product was received damaged or not as described, please send us some pictures or videos, so we could well understand your problem, then solve them for you ASAP. Besides, it's much helpful for us to claim with UPS, remind our related department to pay much more attention to packaging later on. The item "Vinyl Cutter 5in1 Heat Press Printer Vinyl T-shirt Transfer Start-up Kit" is in sale since Thursday, November 10, 2016. This item is in the category "Business & Industrial\Printing & Graphic Arts\Screen & Specialty Printing\Heat Transfer\Presses". The seller is "asc365usllc" and is located in Tampa, Florida.